Streetsblog readers spent the past three weeks voting in Parking Madness, the single elimination tournament where cities compete for the Golden Crater — a symbol of the shameful amount of space we’ve allowed surface parking to consume in our communities. We started with a field of 16 and now we have a champion. 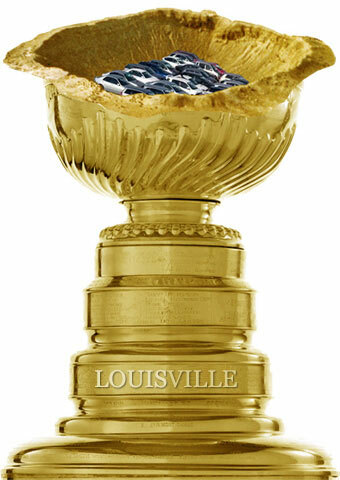 The winner of this year’s Golden Crater is Louisville, which prevailed over Federal Way, Washington, in our final. In the SoBro neighborhood, directly adjacent to the Central Business District, large swaths have been leveled and forgotten as the area is overshadowed by the much more glamorous lights and architecture of Downtown Louisville. As people begin to realize just how much space there is to fill, SoBro’s potential will hopefully shine through. The hard part is actually filling it. Among the challenges of a parking crater like this is that flat land requires new construction, which is often quite expensive. Had the older urban fabric remained — even in an abandoned state — it would have been much easier to revitalize this area into a real neighborhood. Cities can take action to arrest or reverse the growth of parking craters. When developers in Denver were demolishing buildings and replacing them with surface parking, the city banned the practice. And in cities that need to provide better incentives for developers to build on parking lots, the elimination of parking requirements is a good place to start. Louisville has parking requirements for every part of the city outside of the central business district. Whatever strategy makes sense for this location, we’re rooting for Louisville to turn its parking crater around. Until then, to guard against complacency, we present the Golden Crater. Congratulations Louisville! What a beautiful trophy you won! Holy cow! Parking Madness: College Edition would be a pretty interesting competition indeed, and this is definitely a top seed. Yep, this was railyards. All this crater means is that Louisville hasn’t expanded since the railyards were removed. Not a good result, Streetsblog. The photo linked only shows about two blocks of what is parking lots to be railyards. 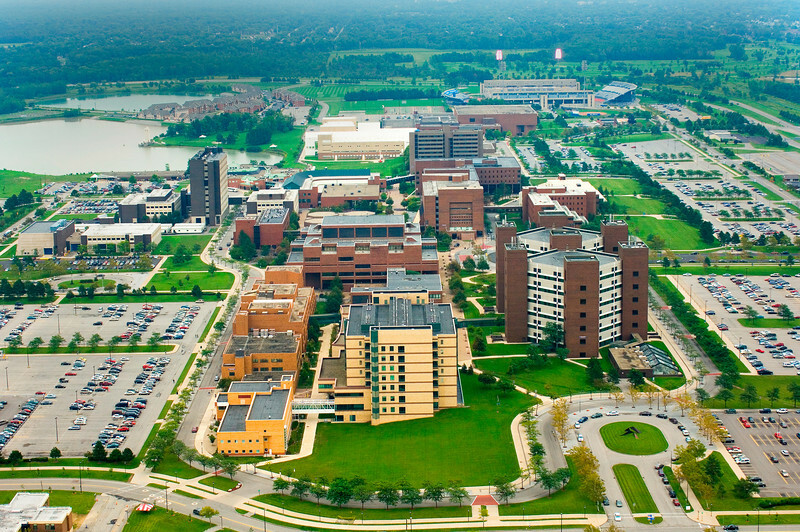 The entire rest of the photo is filled with smaller buildings.